Marcia is an Idaho native and a life-long gardener. She received her formal education and operated a design/build landscape business in the Seattle area before moving to the Treasure Valley. She champions the right plant in the right place, and thoughtful application of our natural resources. 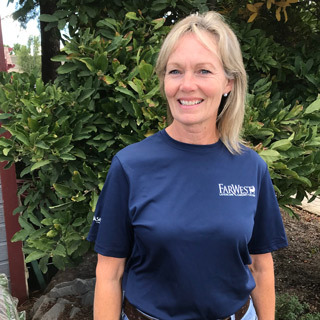 Marcia’s goal is to create lasting beauty in the Treasure Valley with landscapes that are water wise, attract pollinators and include all-season interest. Meadow gardens, seasonal planters, foliage plants and native gardens are her specialties. “The result is absolutely and completely amazing. We have a home that we can be proud of. The yard has drawn many comments both from my pictures and from people in our neighborhood who have stopped by and just looked at it in winter. I cannot express how completely grateful and amazed I am by your team… You have a customer for life! ” Stonework was impeccable. Marcia’s crew was very responsive. Follow-up was quick. Nice to have unprompted check-ups on work, especially the irrigation update.